I loved Abby’s ideas for an understated valentine’s day look! I thought I’d continue with the fashion theme and post two pics of some of my favorite accessories. 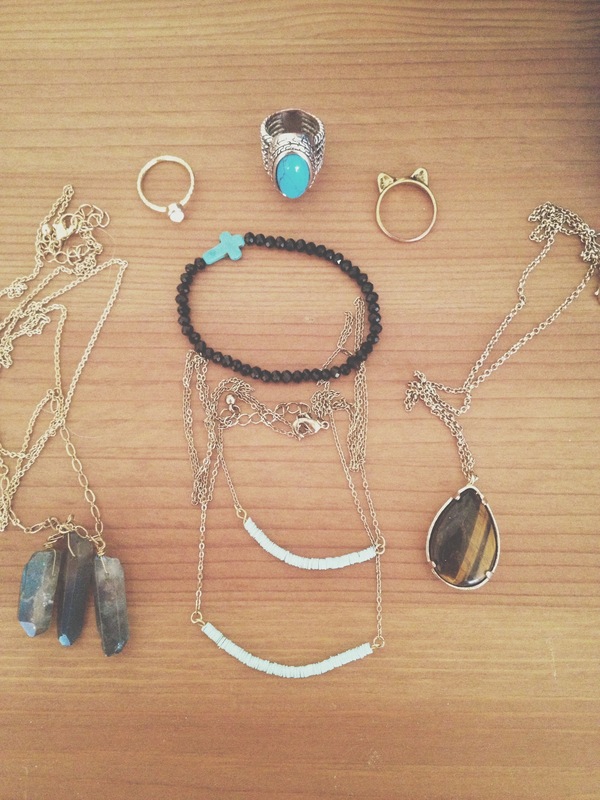 For jewelry, I love earthy, yet classic looking pieces. Such as my turquoise ring or my blue crystal necklace. They are simple yet unique. 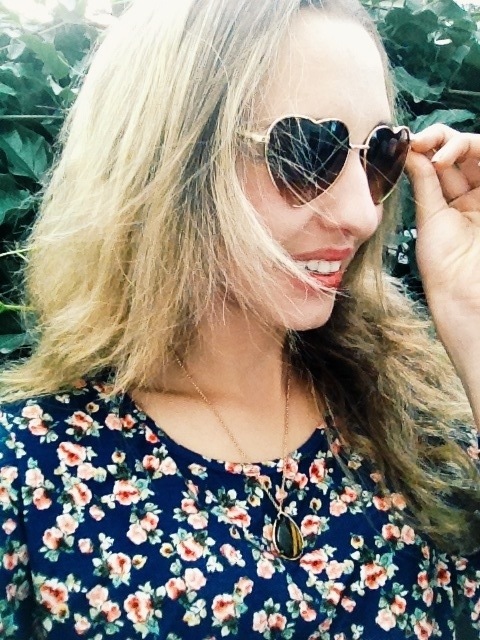 I also love wearing my heart shaped sunglasses! They automatically put me in a loving mood for Valentine’s day! Love those glasses and the cat ring!